Best place to find a Z? 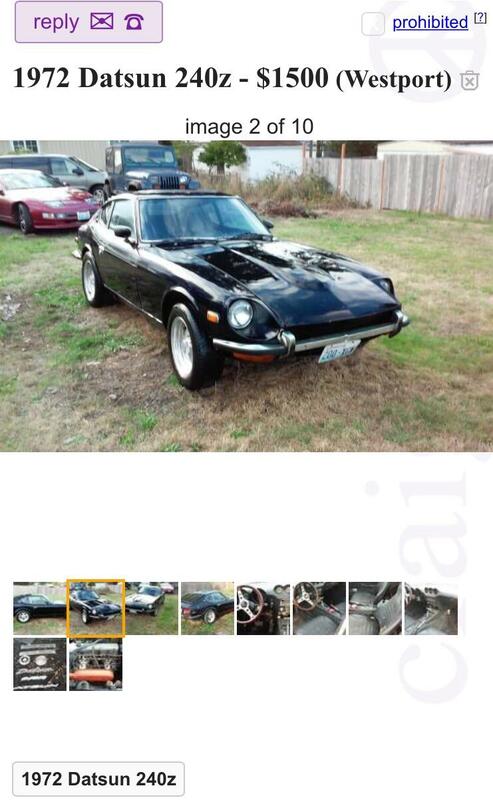 So far I've been only looking at local Craigslist to stay updated on Z prices, with new post alerts sent to my email. 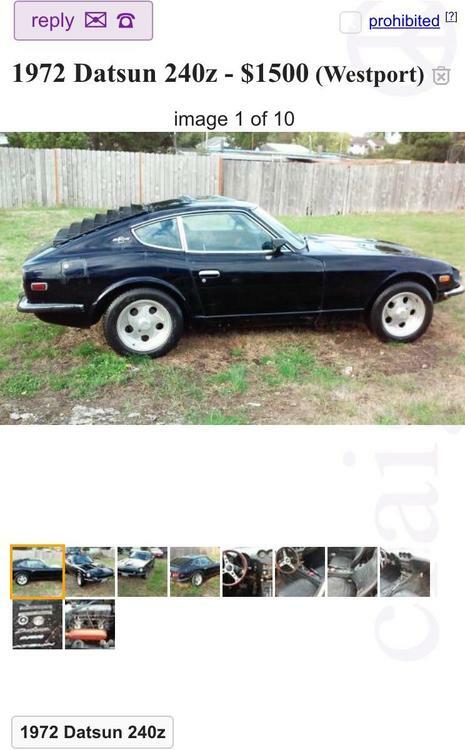 But I wonder, is there a better place to find a Z? I am aware of the For Sale and the Internet Finds forums. Problem is that's over the whole US, sometimes Canada, and not only S30s. It doesn't necessarily have to contain only road-ready Zs, as I don't mind learning. I'd love to hear where y'all found your Z. Also, I'd rather it were based in Texas, or someplace close by... Am I asking for too much? Decide how far you are willing to drive to see or pick up a car and start looking in those states as well, if there is a car that is too far away have a look on the members map to see if one of our members lives close enough to go have a look at it for you. Look anywhere you want to find at Z. However, if you are serious, it will all come down to how badly you want it. In the search for my 240Z way back in 2003, I was in arguably the ideal part of the country to find one: Southern California. That said, I had very specific parameters (red or orange with original paint, low miles, no rust, crack-free dash, to name a few). Unfortunately I was not having much luck finding one nearby. I searched for cars on Hemmings Motor News and found a couple of promising leads in the New York State and New Jersey Area. I flew across the country to see them. They were nice, but it my gut told me to pass. A few weeks later, an orange '72 was advertised on Hemmings in Kansas. I met the original owner, who purchased the car for his wife on Mother's Day 1972. Aside from a few door dings from being a lower mileage (~35K original) garage queen around children with bikes, it was a solid car. He kept the original wheels and tires, which was a nice bonus. We struck a fair deal for both parties and I had it shipped back to California. I check searchtempest.com every Monday. I wasn't looking either and wound up with three. Luckily sold one and made double what I paid. The other two are downstairs and worth 10 times what paid. Buy one, you can't go wrong. Of course you should let us critique to death. 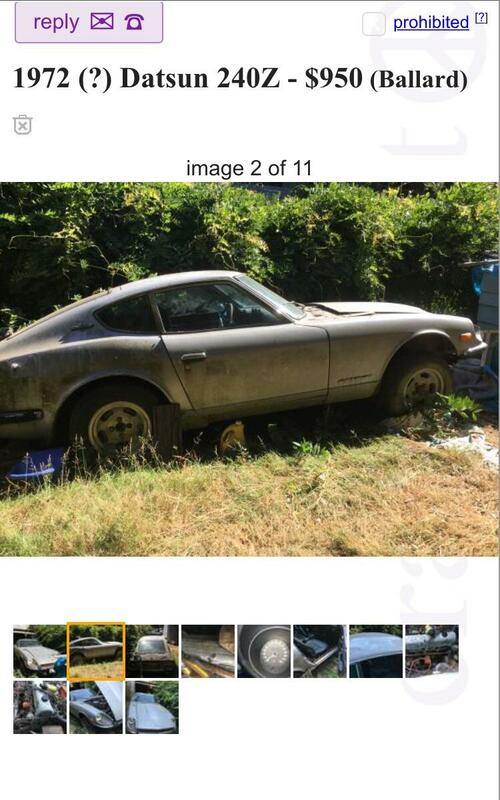 Keep an eye on the Portland and Seattle Craigslist.There's still quite a few Z's in this corner of the country. Damn! That was a great deal. But it isn't a '72 judging by those pillar emblems???? No it was mislabeled as a 72. Vin was 17xxx if I remember correctly. I check searchtempest.com every Monday. That's just what I needed. Thanks! And damn that looked like a good deal. Searchtempest.com will do the same thing and has distances so you can customize it. The $1,500 car looks like a scam. I have a hard time believing it was legit unless someone laid eyes on it. It wasn't a scam, friend of a friend was talking to the guy to go pick it up, but someone else beat him to it. I searched all over the West Coast but didn't really see anything I liked in my price point. I picked mine up from a guy who replied to my wanted ad I placed on craigslist. He didn't have it listed anywhere. I'm in Oregon though so there are quite a few of them around me. I'd say put out some wanted ads just in case someone stumbles upon it. I have a 77 /280z forsale in Amarillo', I intended to restore this car but heatl and age has caught up to me. I'm asking $4700 OBS offer. I put it on ebay bur go no firm bids. Car has very little rust , bottom of fenders and frame rails. floor boards are solid and spare tire area is perfect condition with spare, jack,tools and air bottle never removed. Send email for pictures.